John du Pont and Dave Schultz. On Jan. 26, 1996, Dave Schultz, one of America’s most accomplished Olympic wrestlers, was murdered in cold blood by John du Pont, the heir to one of America’s greatest fortunes. 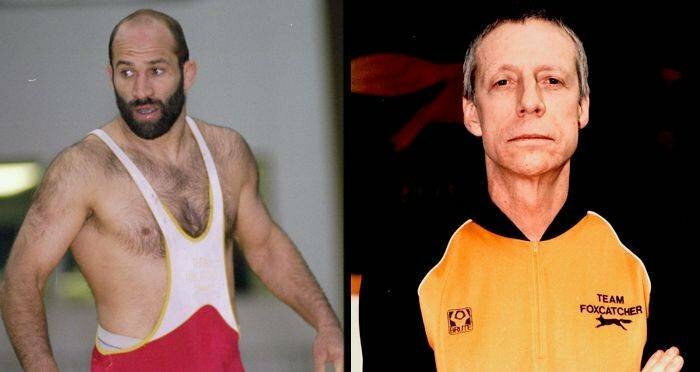 The 2014 Oscar-nominated film Foxcatcher, chillingly, was not so far off from the true story. John E. du Pont had everything as an heir to the du Pont family fortune, one of wealthiest families in America, and he’d won the public over by pouring more than three million dollars into U.S. Wrestling. He ran one of the premier wrestling training camps in the world – a camp that, under the leadership of Olympic gold medalist Dave Schultz, churned out champions the world had never seen. But du Pont threw this all away with the pull of a trigger – and no one has ever quite understood why. A 1988 video John du Pont made for an awards banquet for the Crozier-Chester Hospital. John E. du Pont was American royalty as a member of the family behind the du Pont chemical company. His family raised thoroughbred horses on their 800-acre farm in Newtown Square, Pennsylvania, where a young du Pont wandered the grounds obsessing over birds and wildlife — a small refuge from an isolated childhood. Inside his mansion, du Pont was an incredibly lonely child. His father was rarely at home and his siblings, who were far older than him, barely acknowledged that he was alive. The only friend he thought he had was the son of his chauffeur – although, in time, du Pont would find out that his mother had paid the boy to pretend to like him. It didn’t help that, innately, du Pont was eccentric to say the least. He later earned a doctorate in natural sciences and founded the Delaware Museum of Natural History. But still desperate for a sense of value in his life, du Pont turned to wrestling. He had tried other sports too, like swimming and a pentathlon, for which he even earned a spot on the 1976 Olympic team. He had lost both testicles after an injury in a horse riding accident and contact sports like wrestling were forbidden to him growing up. The injury may also have compounded his crippling insecurity and need to compensate. Regardless, or perhaps in part because of this, du Pont wanted to be as involved in the sport as possible. In 1985, he opened a 14,000-square-foot training center on his family’s estate that he renamed Foxcatcher Farms. He poured himself into the sport as well as over three million dollars into USA Wrestling, the sport’s national governing body. John du Pont had learned to become desperate for approval and belonging. He was determined to build a team of Olympic champions and the wrestling community welcomed his generosity with open arms. Rob Brown/ABC via Getty ImagesMark Schultz wrestling during the 1984 Summer Olympics in Anaheim, Calif. Aug. 7, 1984. Dave Schultz was du Pont’s second choice for the face of Team Foxcatcher. At first, he’d hired Dave’s brother Mark, another Olympic gold medalist in his own right, to train his Foxcatcher Team. It didn’t take Mark long, though, before he became frustrated with the way du Pont treated him, like a toy he’d bought with a $70,000 salary. “We were his newest trophies,” Mark Schultz recalled of du Pont. Mark claims that he deliberately threw his Olympic trial match just to keep du Pont from getting the satisfaction of the win. By 1990, du Pont had replaced Mark with his brother Dave Schultz. Mark and Dave Schultz were the only two brothers in sports history to win freestyle wrestling medals in the Olympic Games in 1984 and the World Championships, where Dave won in 1983 and Mark won in 1985. The boys were even honored by then-president Ronald Reagan. Dave was ultimately a seven-time World and Olympic medalist and a nice guy to boot. “There was no one else who carried himself like Dave. He was an ambassador for the sport, a one of a kind [and] someone a lot of people called ‘friend’,” said Kevin Jackson, world and Olympic champion who trained at Foxcatcher from 1990 to 1995. Dave Schultz, left, with brother Mark, right. As a big kid with Dyslexia, Dave wasn’t a stranger to teasing. Perhaps that’s why he felt compassion for the eccentric du Pont, for whom he agreed to work despite what his brother had told him about their difficulty working together. “If it wasn’t for Dave being at Foxcatcher, nobody else would have gone. He was a legend, just one of the best wrestlers in the world at the time,” Kevin Jackson continued. Indeed, over the years in his training facility, du Pont had become increasingly harder to work with, much less connect to. TOM MIHALEK/AFP/Getty ImagesJohn du Pont coaches two wrestlers at Foxcatcher Farm in Newton Square, Pa. Jan. 26, 1996. Dave Schultz had turned out to be a godsend for Foxcatcher Farm. Most importantly, he was the only person who could handle John du Pont. After John du Pont lost his mother in 1988, his sanity started to crumble. Life at Foxcatcher Farm became a living hell. du Pont would insist that he could see Disney characters hiding on his property or trees uprooting themselves and marching around the estate. He opened fire on a flock of geese because he became convinced that they were using dark magic against him and he removed all the treadmills from the building when he became convinced that they were turning back time. He hired security contractors to check his floorboards for secret tunnels and his walls for the hidden intruders he was sure were spying on him during every moment. He allegedly was under the influence of cocaine and alcohol for much of these episodes. The coach’s delusions spilled into his wrestler’s lives. He kicked out Kevin Jackson and two other wrestlers, declaring that Foxcatcher was now a “KKK” organization and that no black wrestlers were allowed. He even pulled a machine gun on wrestler Dan Chaid. “I was working out in the weight room. du Pont came in and pulled a gun on me and said ‘Don’t you **** with me, I want you off the farm’ in a very aggressive way. I could tell he wasn’t in the right state of mind. I cowered to him just enough to get him to back off. Then he left. 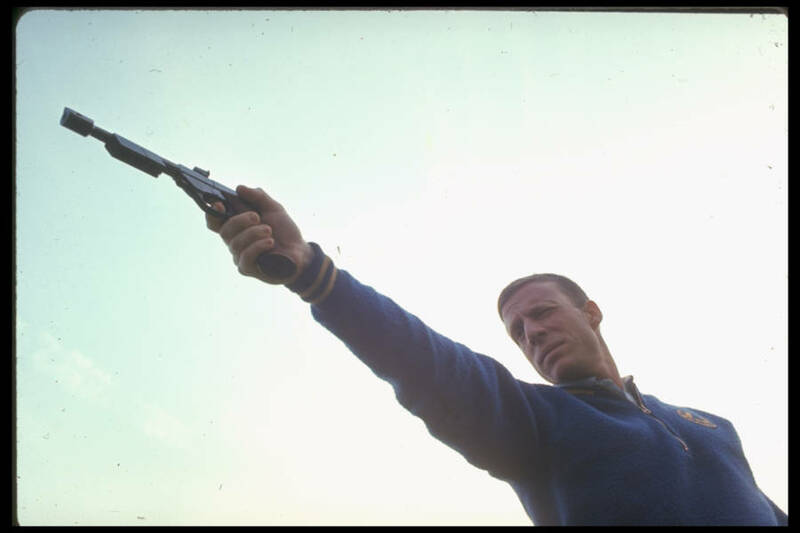 Paul Schutzer/The LIFE Picture Collection/Getty ImagesJohn E. du Pont practicing shooting his pistol on Foxcatcher Farm. Newton Square, Pa. 1967. Gostigian seems to think that’s why du Pont killed him – but the truth is that nobody really knows why du Pont did what he did. All that can be said for sure is that on Jan. 26, 1996, at 2:00 PM, John du Pont grabbed a .44 magnum and ordered his security consultant Patrick Goodale drive him to Dave Schultz’s house. Dave’s last words were “Hi boss!” with a smile and friendly wave. du Pont answered him with a gun pointed at his head. He screamed, “You got a problem with me?” and opened fire, shooting Schultz dead on the spot. Goodale’s first instinct was to leap out of the car and check on Dave. Then he pulled a small pistol out from a holster hidden at his ankle and pulled it on du Pont. du Pont, though, just drove away and sealed himself up in his mansion where no one could touch him. A two-day standoff ensued at the du Pont mansion. For two days, 70 police officers and a whole team of SWAT members laid siege on John du Pont’s home. They tried everything they could that might get a rational man out of his home – but in the end, all they had to do was turn off the heat. 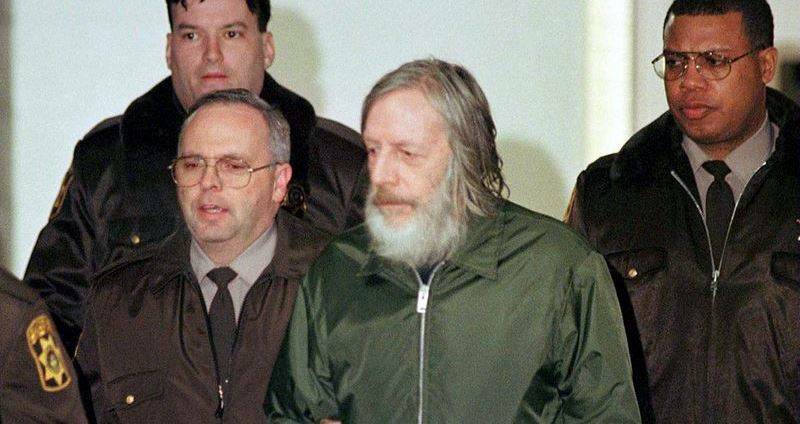 As soon as he got too chilly, John du Pont turned himself in. The victims got justice – but at the terrible cost of ensuing publicity. du Pont’s lawyer tried to blame the whole thing on Patrick Goodale. She accused him of milking du Pont for his money and feeding his paranoid schizophrenia until he turned into a killer, dragging his name through the mud while the world watched from their living rooms. In time, Mark Schultz calmed down, but the damage was done. By then, the Washington Times had already written an article that said “Du Pont and Mark Schultz were rumored to be lovers”, taking their story entirely from the film version, and Mark feared that he had forever been cemented in the public’s mind as the lover of the man who killed his brother, Dave Schultz. But the jury, at least, saw John du Pont for who he was. They rejected his plea of “innocent by reason of insanity” and sentenced him to prison. He died in 2010 at the age of 72 behind bars. After reading about the murder of Dave Schultz by John du Pont, find out the true stories behind Netflix’s “The Staircase” and the mystery of Michael Peterson’s wife. Then, read up on the real-life kidnapping of John Getty III.